Dallmayr Granverde is a wonder of nature - just like the hummingbird on the package! Hummingbirds are the smallest birds in the world and the only ones that can fly backwards. Some of them move their wings up to eighty times a second! Many species live in Latin America, where Dallmayr Granverde comes from, making this unique animal the perfect logo for this product's packaging. This outstanding blend is a coffee rarity in organic quality, made from 100% Arabica coffee beans that are sustainably produced. Delicately nutty taste with a soft finish. This coffee was grown by UTZ certified farmers who use better farming practices for people and the environment. 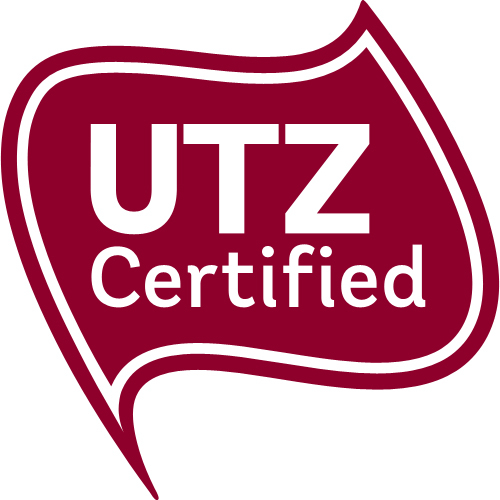 When you buy UTZ Certified coffee, cocoa or tea you are helping build a better future.UTZ Certified stands for sustainable farming and better opportunities for farmers, their families and our planet. The UTZ program enables farmers to learn better farming methods, improve working conditions and take better care of their children and the environment. Through the UTZ-program farmers grow better crops, generate more income and create better opportunities while safeguarding the environment and securing the earth’s natural resources. Now and in the future. And that tastes a lot better.